Yesterday a new rider doll showed up in my mailbox. …I get a few questions asking about her. So I hope this post will help clear some things up! Yvonne was originally produced by Zica Toys. She is very popular among hobbyists because of how posable she is. 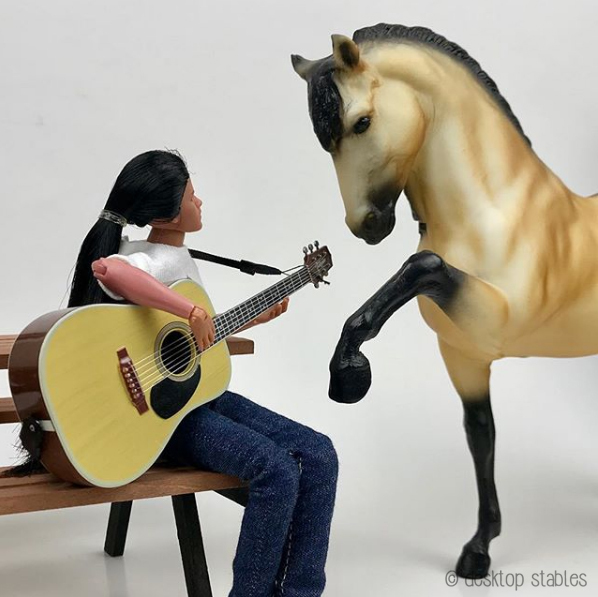 Field of Dolls Studios wrote a blog post comparing her to the riders produced by Breyer, which you can check out here. I’m not a doll customizer, but from what I understand, she requires far less work/altering to create a great LSQ rider doll. 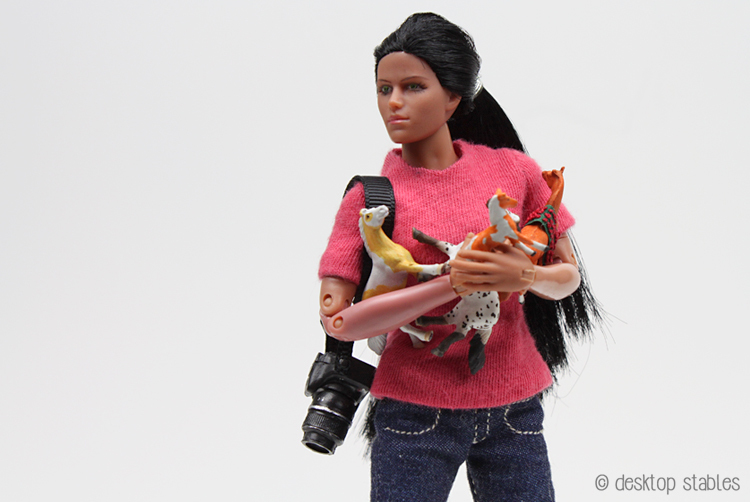 I’m more interested in using my dolls for silly photos rather than showing, and they all need major makeovers, but until I get around to doing that I enjoy them as is. I missed out on the earlier versions of Yvonne, but I did get a couple that were produced later. As much as I love them they are a little weird. The blonde doesn’t match her body skin tone at all, and I have trouble with her legs staying on. The second is a lot better, but she also has a problem with one of her arms always wanting to come off. Part of her right arm was molded from a pinker shade of plastic too, which is annoying but whatever. Annoyances aside, I still really love these dolls, so I was sad to hear she would be discontinued. Luckily for the hobby, KC’s Galloping Gals stepped up to purchase the tooling and restart production. They were offered for pre-order several months ago, which is how I got mine. 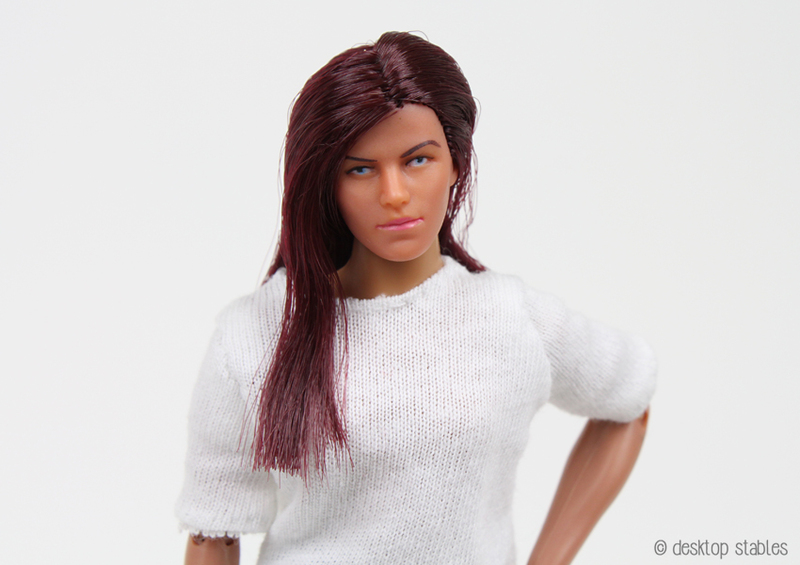 Gracie has a slightly lighter skintone, with dark brown/burgundy-ish hair and a more natural face paint. 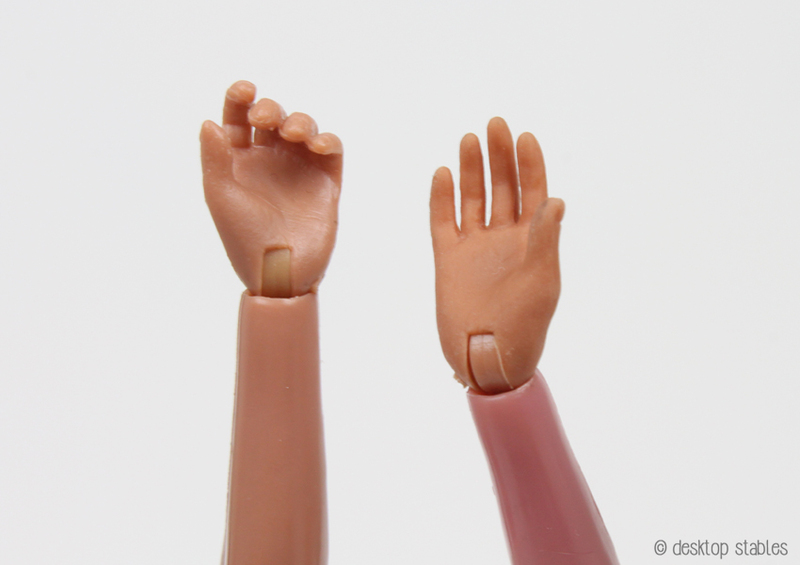 Her hands are also molded from hard plastic instead of the rubbery material Yvonne’s were made from. I didn’t pre-order this guy but I do have a few of the bodies I bought from Zica through the 8 Inch Superstore. 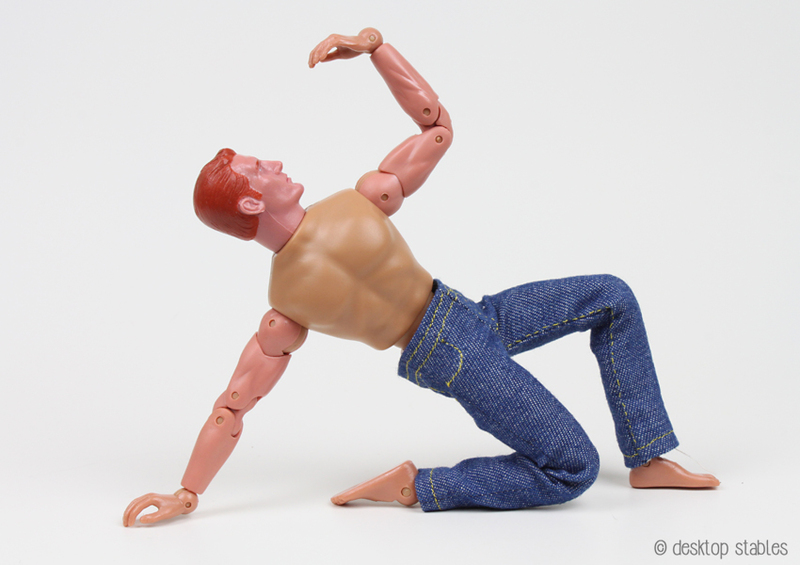 (which is down for maintenance) These bodies are not as flexible as the female; you can get a 90° angle at the arm and leg. Later an add-on set of double jointed arms and legs were made available, so I purchased one and attached them to one of the bodies. He’s still not as flexible, but I can get more movement from the arm and leg joints, as well as rotation in the upper arm. I’m not sure if these pieces will be made available again, but I hope so. 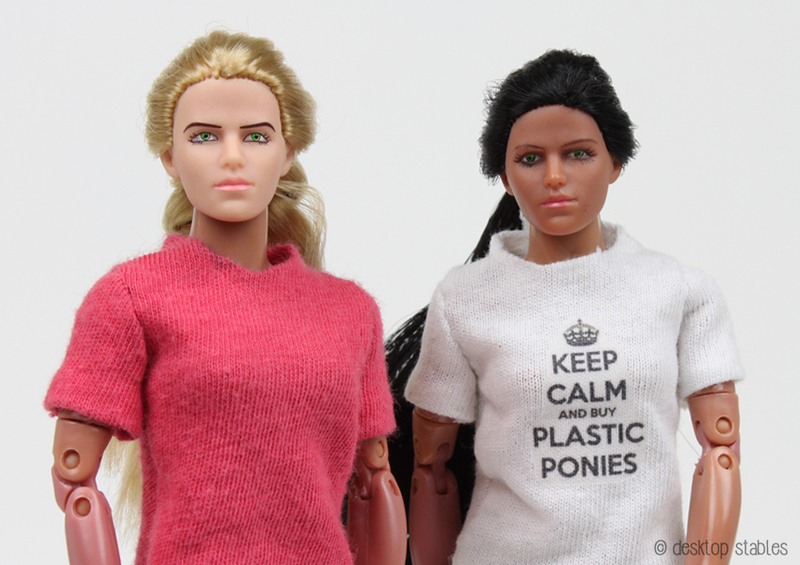 Right now the dolls can be purchased through White Elephant Toyz but I’ve also heard that they’ll be available through the 8 Inch Superstore…? Honestly I don’t know, it’s confusing. It is still a new company so I imagine things will be sorted out with time. I am very happy to see this doll being produced again, and am so glad I decided to get one. I’m hoping that later on we’ll be seeing different skin tones and face sculpts. It would be amazing to see different body types and ages too. For now though, I’m happy with how this doll turned out. The clothes I have all the dolls in I made myself. I’m trying to make patterns for basic, removable clothing but it’s slow going. 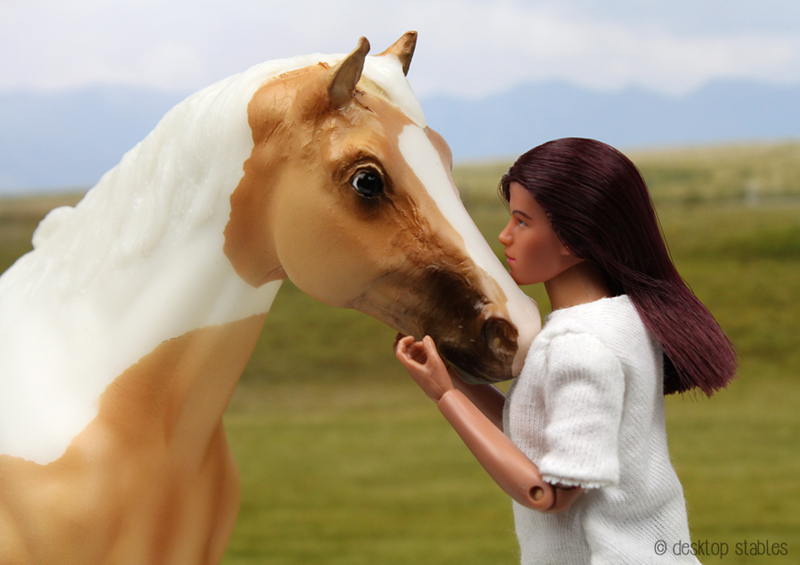 Sewing for horses is sew so much easier than it is for dolls!